The NEW MODEL LODGE, USA is a system of activities and practices that can revive and renew masonic lodges in the United States. 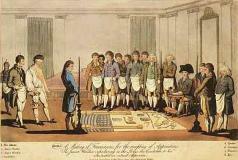 This system is set out to help ailing lodges repair and reverse the trends toward falling membership in freemasonry. It is intended to represent changes that can be made to existing lodges without changing or violating any grand lodge rules or regulations. The NEW MODEL LODGE, USA is a repository of "best practices" from lodges all over the world, but more especially the United States. 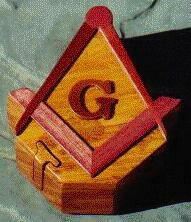 This site is not endorsed by nor does it represent any grand lodge. It only represents the opinions and ideas of its contributors and editor. These essays were published, with some revision, in The Philalethes The Journal of Masonic Research and Letters Volume LIV, Numbers 2 and 3. If you have a lodge that is going fine without these changes, GREAT! We want to hear from you and, perhaps to include your ideas in our next revision. Please contact the website editor by clicking HERE. Three other highly recommended sources for masonic lodge renewal are "Confessions of A Born Again Fundamentalist Freemason" as well as other essays by Nelson King, FPS, "Back to The Future, A Prescription for Masonic Renewal" by Kent Henderson, "LodgeBuilder.org" by Tom Jackson, and "Pietre-Stones Review of Freemasonry" edited by Bruno Gazzo . Another recent addition to the highly recommended sources for renewal is the Masonic Renewal Committee of North America, Inc., whose website is at http://www.masonic-renewal.org. It is sanctioned by the Annual Conference of Grand Masters to develop Programs and Products to assist the Symbolic and Grand Lodges undertake Masonic Renewal throughout North America.